﻿ Circa Luxury Apartment Hotel Cape Town. JIMAT di Agoda.com! Ada soalan mengenai Circa Luxury Apartment Hotel? Terletak di Pusat Bandar Cape Town, Circa Luxury Apartment Hotel merupakan tempat menarik untuk memulakan pengalaman di Cape Town dan kawasan sekitarnya. Hanya sejauh 20200, hotel 4-bintang ini boleh diakses dengan mudah dari lapangan terbang. Bagi anda yang ingin pergi agak jauh, Virgin Active - Cape Town, Konsulat Jeneral Angola, Konsulat Jeneral Belgium merupakan beberapa daya tarikan untuk pelawat. Circa Luxury Apartment Hotel juga menawarkan banyak kemudahan untuk memperkayakan penginapan anda di Cape Town. Ketika menginap di hartanah yang indah ini, para tetamu boleh menikmati Wi-Fi percuma semua bilik, meja depan 24 jam, simpanan bagasi, Wi-Fi di tempat awam, tempat letak kereta. Tetamu boleh memilih dari 47 bilik, semuanya yang akan memberikan suasana ketenangan dan keharmonian. Di samping itu, pihak hotel menawarkan aktiviti rekreasi untuk memastikan anda mempunyai perkara untuk dilakukan sepanjang penginapan anda. Circa Luxury Apartment Hotel adalah destinasi sehenti anda bagi penginapan hotel berkualiti di Cape Town. This Hotel is in a queiter if good location to most places in the city with easy access to convention centre and all major highways and all local transport. the rooms are well equipped and spacious and a decent Breakfast is also included. It lacks a certain finesse and the decor is questionable in places, but overall staff are helpful and for what is offers it is very good value. The hotel isjust about 20 minutes walk to the Waterfront. The apartment was large, though it would be better to have some pots and pans for cooking. It was bad that they charge for their wifi too. We tried booking their airport transfer but could not get any confirmation. So we had to contact another company for the arrangement. Yet when we got there, they wanted to charge us for the booking. That was ridiculous. I could not believe what a good value this hotel was. I had mixed feelings because of the reviews I had read here, but really, I don t know what else can you wish from an apart hotel. Everything was satisfactory in my opinion : the apartment was service every day, the sheets are good quality, the Air conditioning was adequate and silent, there is a Virgin Active gym ten paces from the hotel,opening at 5 am, walking distancie to the Congress Center and to the Waterfront. I really cannot recomend enough. The only thing is the área gets a bit deserted after working hours, but they are quick to recommend a taxi. I literally had a 100m2 apartment room in Circa, with a side view to the table mountain. Staff are friendly, breakfast are brilliant. but I was leaving 6 am the last day and they did not let me use my breakfast voucher to pay for part of my lunch/dinner the day before. It is only 5 mins walk to the convention center. But walking through the back street may not be a good choice at night. Location is perfect and close to everything.. room is very spacious and Everything is comfortable. Compared to other places I've stayed in this is the best value for money I've expensive and would recommend it to anyone. Nothing negative to say only one thing that could be sorted is the parking lot. It's a bit cramped and expensive for it .. but besides that everything was right and would definitely be coming back. The hotel is located close to the Cape Town International Convention Centre. The suite I booked was fantastic in a reasonable price. They provide us free wi-fi. The overall experience at hotel was good. I would like to recommend this hotel. 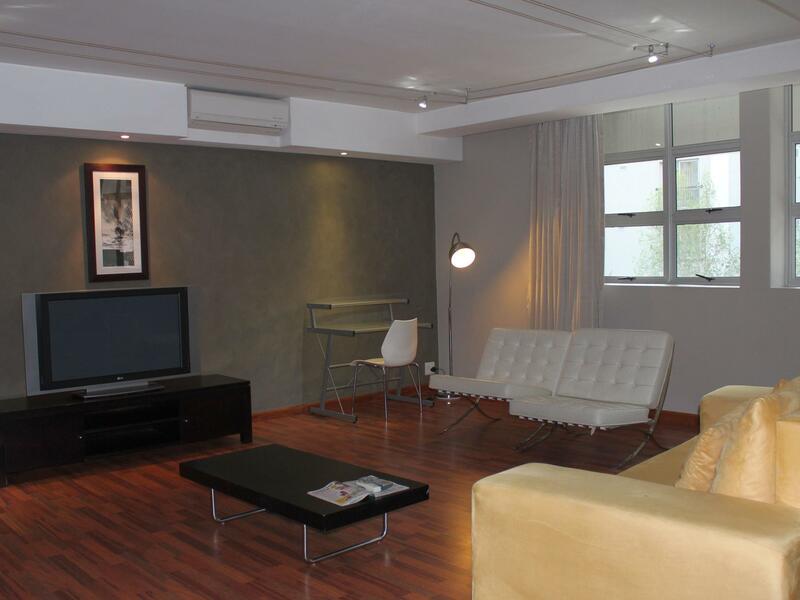 Stay at the Circa Luxury Apartment for one night and had a very comfortable stay. The rooms and bathrooms are very spacious and clean. If you in Cape Town for business and wanting to stay away from the rush and noise of the city, Circa Luxury Apartments is ideal and easily accessible to town and the highway. Happy to stay in this place. Should bring my wife as well to enjoy the space here. Only TV is the lounge. Cannot lying on bed to watch TV. The parking is a bit confusing. The way should be blocked if it cannot be utilized. 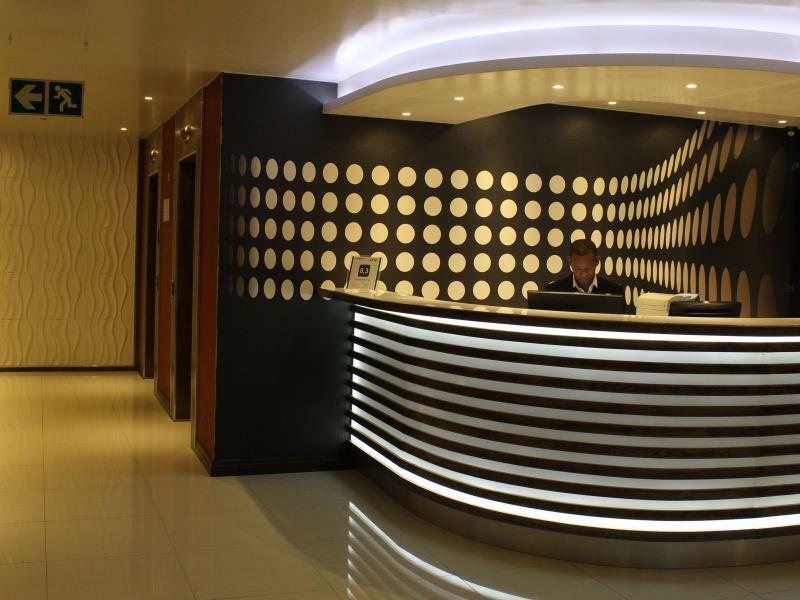 Excellent front desk & great housekeeping. Efficient, clean & good comfort. Excellent stay. Up to mark for a 4-star apartment hotel. Would recommend to others esp. family with kids. Value for money. Would be good if there is better wifi package that goes by hours, half-day and 24 hours. Also, some concierge services like travel tips, close-by eateries & etc. The hotel location which is nearby restaurants and public transport, open space of living room which gives big for kid to move around. It was a nice experienced staying there. The hotel staffs are very helpful, not much variety for breakfast but good quality of food served. The hotel location is in downtown and in the safe area knowing that I'm traveling alone with a toddler which is the safety and comfort are my priority, but doesn't have much street light at night for the safety reason. The hotel room is clean although the housekeeper could pay attention more on detail when cleaning. TV channel is very limited for "Luxury hotel apartment". The lady i checked in with was top class. Awesome service. The apartment was very clean and tidy. The reception allowed me to bring guests and leave when i wanted. Overall great experience. Wonderful. I was there with my partner and she enjoyed the experience. It is close to major attractions, it is in a safe area of the city, yet close and part of the city centre. It has modern fittings, and is not too expensive. There is safe parking, with wonderful surroundings. Generally it was good, but in the early evenings there was too much noise from playing musical bands in the vicinity, but as for the actual hotel, it was superb even though it is undergoing renovations. 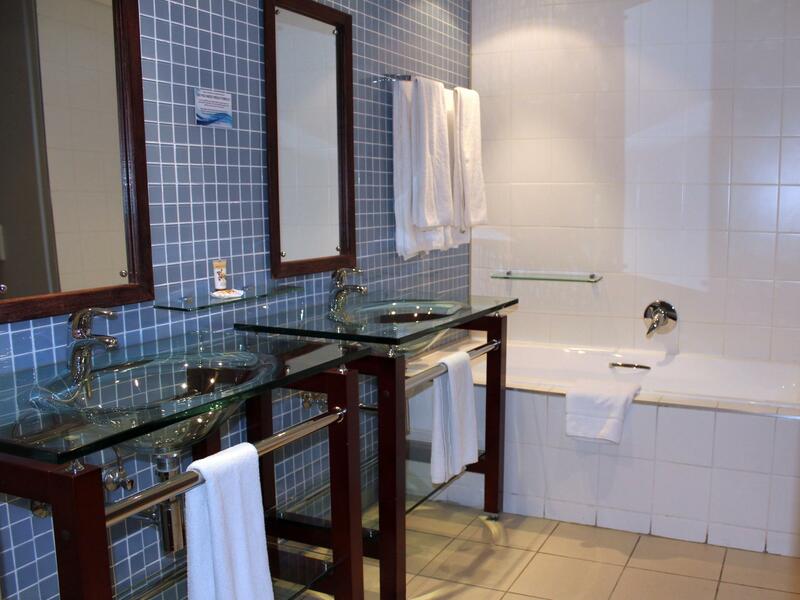 Very spacious room, friendly staff and closeness to the Cape Town International Convention Center. I had a very pleasant stay. The staff were friendly and professional. The rooms are spacious and are cleaned daily. The only problem was the high internet connection charges. I highly recommend this property. Spacious rooms, self-catering, clean rooms. Nice staff, central CBD location. Great location for business travelers working in Cape Town CBD. Parking and internet were extra fees. Parking garage was VERY hard to park in; underground parking with tight turns. Safe, locked parking however. Staff very friendly. Rooms very large and would be good for a business traveler or family (large bed and pull out couch in most rooms). Not very central to most sight-seeing locations in Cape Town but walking distance to everything in central CBD/downtown. Clean, airy rooms. I would recommend this hotel...perhaps with a better parking situation, though!! 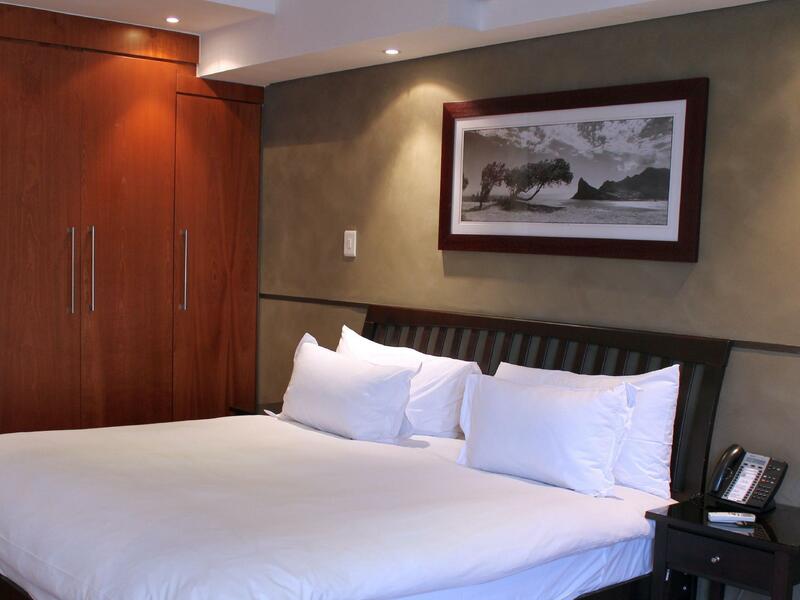 Close to long street,Clean and large rooms. This is really value for money,you can not find such big apartment in this amount,we enjoyed our stay here,long street is just few minutes walk and V & A waterfront is also 10 minutes walk from here,i think no need to tak a taxi for waterfront,only the problem is internet,they charge 70 Rands for 24 hours,i think internet must be free.